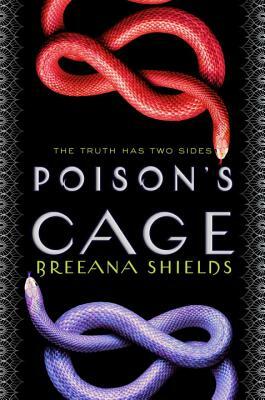 An assassin becomes a spy in this heart-pounding sequel to Poison's Kiss. Readers who love the assassin angle in Throne of Glass, the lethal touch in Shatter Me, or the high stakes of The Wrath and the Dawn will want to follow this story to the end. A single kiss could kill. A single secret could save the kingdom. Iyla and Marinda have killed many men together: Iyla as the seductress, Marinda as the final, poisonous kiss. Now they understand who the real enemy is--the Snake King--and together they can take him down. Both girls have felt as though they were living a lie in the past, so moving into the king's palace and pretending to serve him isn't as difficult as it sounds. But when you're a spy, even secrets between friends are dangerous. And each girl has something--or someone--to lose. Does every secret, every lie, bring them closer to the truth . . . or to a trap? In Poison's Kiss, Marinda pulled a dangerous thread. In this sequel, it unravels to a heart-pounding conclusion. Breeana Shields has a B.A. in English from Brigham Young University and is an active member of SCBWI. When she's not writing, Breeana loves reading, traveling, and spending time with her husband, three children, and an extremely spoiled miniature poodle. Visit her online at breeanashields.com or follow her on Twitter at @BreeanaShields.